Amyloidosis is a generic term referring to a group of diseases characterized by extracellular deposition of amyloid material in various organs, either in isolation or generalized. Clinical manifestations depend on the affected organ and the amount of deposited amyloid. 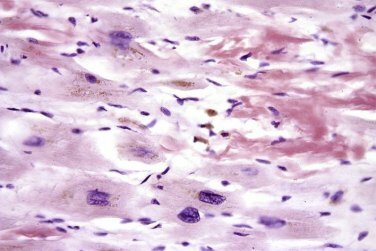 Amyloidosis is estimated in 1 in 60,000 people, with 0.8% prevalence in autopsies. The deposition of amyloid is common on the cardiac level, and it may be the first manifestation of the disease. The presentation is usually left ventricular hypertrophy, therefore patients may be initially diagnosed as suffering from hypertrophic cardiomyopathy. There is a familial amyloid cardiomyopathy (autosomal dominant inheritance pattern) caused by mutations in the transthyretin gene (TTR). Over 100 mutations associated with different phenotypes, including neuropathic, cardiac, renal and ocular forms, have been described in this gene. The prevalence of this disease is unknown. Patients with clinical diagnosis and positive anatomopathologic study for familial amyloidosis in which transthyretin/prealbumin (TTR) protein has been found responsible. Patients under suspicion of familial amyloidosis. Familial study: a search for the mutation previously identified in a proband (relatives of patients with familial TTR amyloidosis in which a pathogenic mutation has been previously identified). Familial Transthyretin Amyloidosis. Yoshiki Sekijima, Kunihiro Yoshida, Takahiko Tokuda and Shu-ichi Ikeda. GeneReviews. 2012 January 26. In case a clear diagnosis of familial TTR amyloidosis exists, the genetic study allows identifying the causal mutation in over 99% of cases. The great majority of them are point mutations, with no deletion/duplication-type structural variants having been described in this gene. TTR gene sequencing is recommended for individuals with a clear or suspected TTR familial amyloidosis.